Help young Catholics in India to embrace and love their Faith through the Catechesis of the Theology of the Body! 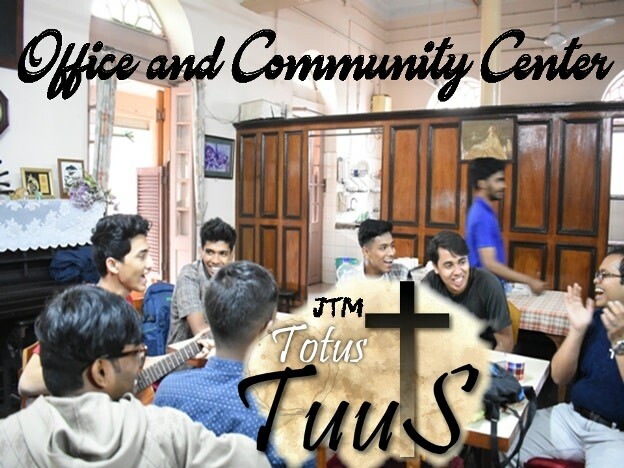 As the demand for our service has increased we need your support for our first TWO full time mission Staff and the set up of the JTM Totus Tuus office and Community Center in Kolkata! Thank you! 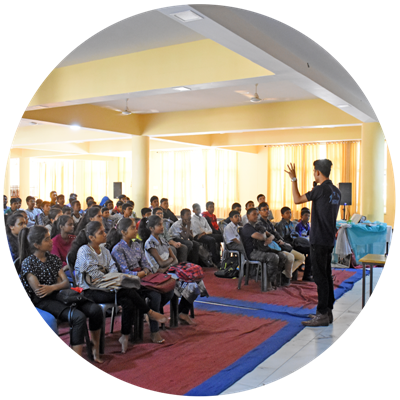 Each year JTM India forms, equips, and sends out missionaries to evangelize the youth of India Through the Message of TOB. 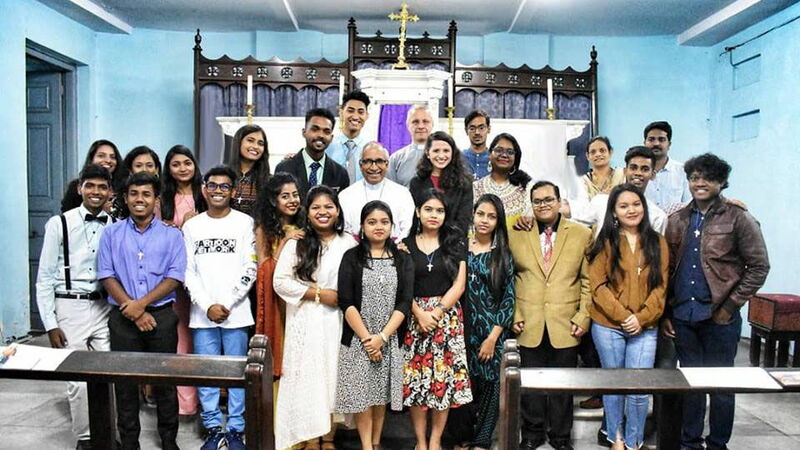 JTM Ministries has been at the service of the Church in India for 7 years, under the leadership of our Archbishop Thomas D’Souza , inspired by St. John Paul II & St. Teresa of Calcutta. As the demand for our service has increased we need your support for our first TWO full time mission Staff and the set up of the JTM Totus Tuus office and Community Center in Kolkata! Want to join us in making a difference? Please consider being a partner with us for JTM Ministries first TWO full time Mission Staff in India and the set up of the JTM Totus Tuus Office and Community Center in Kolkata! I have been in the ministry of JTM India (St John Paul II, Theology of the body Messengers) since 2014. Our mission is to conduct workshops and retreats for young people in schools, colleges and parishes nationally. The main goal is to assist our peers to deeply understand the message of the Theology of the Body in order to lead them to an ENCOUNTER with the love of Christ and to the ONE Relationship we all long for: TO BE ONE WITH CHRIST! Our workshops and retreats usually are live-in and last for three to four days. In this ministry I serve as the events coordinator, keynote speaker and worship leader. 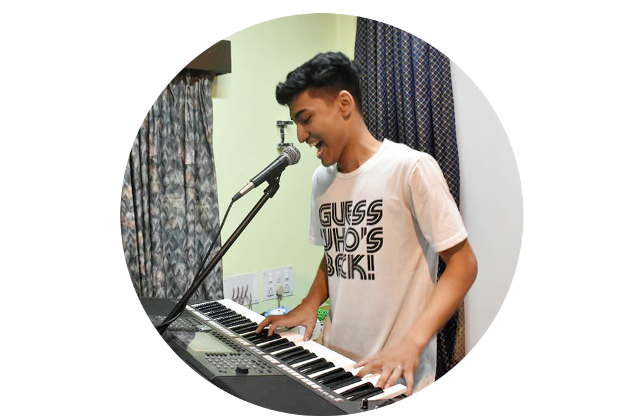 Each member of our team has completed extensive study on the Theology of the Body and attended all required tuitions in order to equip us to be a part of the team of mainly young people who are in this diocesan approved ministry. Throughout my high school years, I had the desire of being a journalist. Early in my final year of high school I encountered the Love of Christ. Since then God is calling me to surrender deeper into His Love. SURRENDER IS MY CALLING. So after much discernment and with the blessing of my spiritual director, I decided to surrender my whole life to Him in the JTM Ministry. I am so excited to continue serving with JTM Ministries but in a different capacity as mission staff. 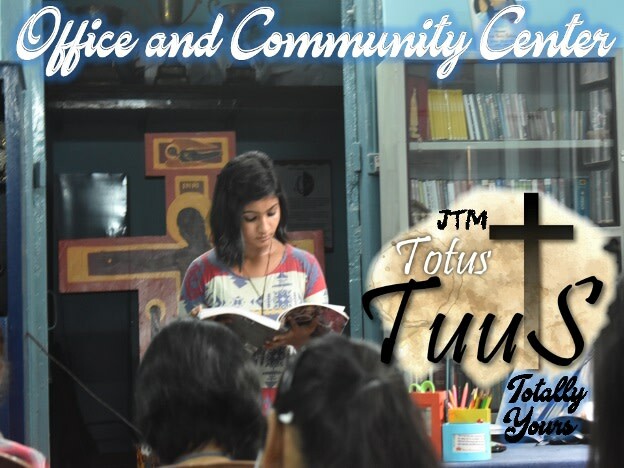 As mission staff I will be working at the JTM TOTUS TUUS Office and Community Center: Which we are formally opening in Kolkata! (More about this bellow!) and doing also more of the behind the scene work that allows JTM to function, besides leading the Events and the Evangelization Team. 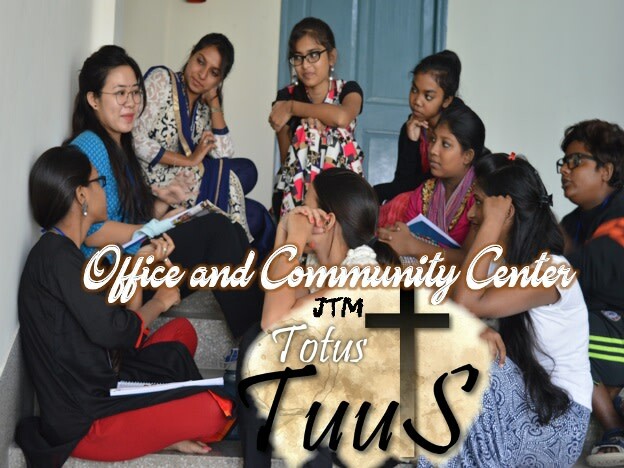 Without the hard work of the staff and mission staff at the JTM Totus Tuus Office and Community Center, it would be impossible for the JTM Evangelization Team Members to continue to reach the thousands of young people across the India as the demand of our ministry increases day by day! -May God be praised! I would be thrilled if you would consider supporting me either financially or spirituality in my mission. Thank you and God Bless! Hi everyone! 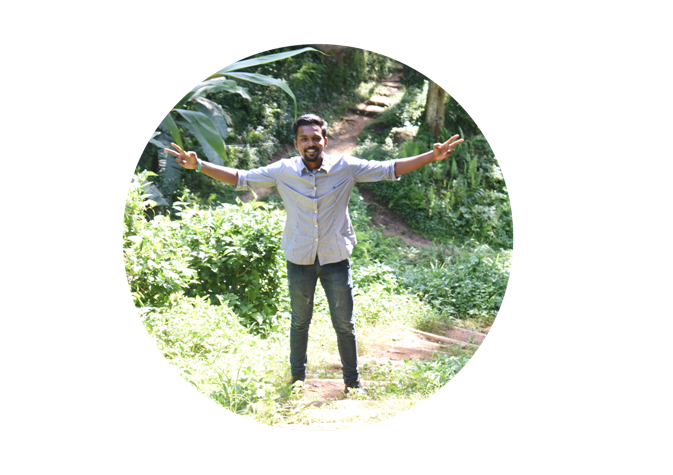 My name is Joseph Francis Williams and I grew up in one of the bustees of Kolkata, I am pursuing my graduation and working as a sales representative in a company and I am the sole support of my aged parents. I'm taking a leave of absence from my job and a big step of faith to raise my own support to get there: to serve JTM Ministry as a full time Mission Staff and also fulfil my obligations towards my family. Will you help me? 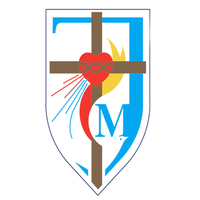 I have been blessed to serve as part of JTM's Evangelization Team from April 2015. This year I felt called to discern a position on staff in order to take JTM ministries to the next level! I absolutely love what JTM Ministries stands for, and I’m grateful for the positive impact it has had on my life. I’m really excited to be able to share that with others. I am passionate about bringing hope to the hopeless. And what better way than showing people, as I was, that there is a fulfilment to their deepest dreams, desires, and longings of their heart: Jesus Christ. I desire share the message of the Theology of the Body better in order to raise up leaders who are not just discipled but leaders who are discipled and whole through the Catechesis of St. John Paul II and the Sacraments. I want to be an instrument for others to ENCOUNTER Christ. As a full time Mission Staff at the JTM Totus Tuus Office and Community Center I will have time to prepare lessons for the formation of the Evangelization Team and to supervise and organize the different projects we have in vision. 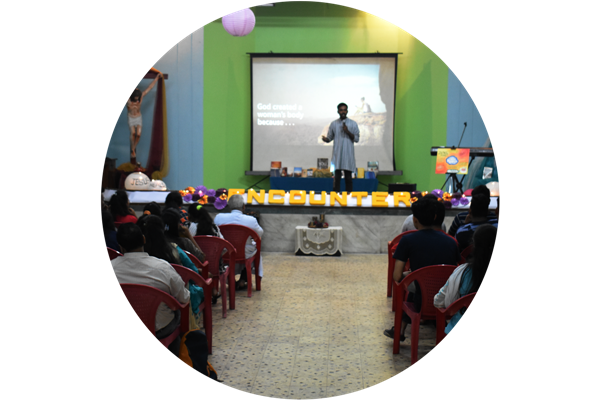 Please consider being a partner with me and the mission of JTM to challenge young Catholics in India to love Christ and embrace the life of the church Through the Catechesis of TOB! Please pray for me in my mission with JTM Ministries to evangelize all I interact with, especially our young people and their parents. Prayer is what changes hearts. If you can support the Church’s mission of evangelization, our mission, JTM’s mission, my mission financially please do so! God bless and know that you are in my prayers. We need to rent a space for "Our OWN" JTM Totus Tuus Office and Community Center in order to provide young people with [a] place they can make their own, where they can come and go freely, feel welcome and readily meet other young people, whether at times of difficulty and frustration, or of joy and celebration! and offer a friendly and relaxed setting where friendships can grow, where young men and women can meet one another, where they can share music, games, sports, but also reflection and prayer. In such places, much can be offered, without great expenditure of funds. Then too, the person-to-person contact indispensable for passing on the message can happen, something whose place cannot be taken by any pastoral resource or strategy. In the Community Center only the guys will live, They will take care of the house and the equipment. The Ladies of our Team and their female friends will be allowed to come as we used to do it in 2015: When accompanied by a chaperone: an Adult Senior Female JTM Team member, during the day and they will have access only to the common area: hall and office meant for the common use of JTM Ministry. We are looking for a central place in Kolkata where it would be accessible to all and close to The Mother House of the Missionaries of Charity and to Mother Teresa's Tomb. By partnering in JTM’s mission, you will receive updates and newsletters about our year, stories about the youth’s encounters with Christ, and testimonies of our missionaries’ life on the road. ” Some give by going to the missions, some by giving to the missions. Without both, there are no missions." We ask you to consider joining us in this mission of love by making a one-time or committing to a monthly donation. Please continue to keep the missionaries and staff of JTM Ministries in your prayers. We will keep you all in our prayers throughout the year as you will be helping us in this ministry.